Wilmington, NC is not known as a culinary destination and/or as a place to try exotic, “culturally stimulating” dishes. BUT Wilmington has it’s fair share of culinary entrepreneurs that have started businesses that produce GREAT food. Here are some great local spots to check out if you want to experience Wilmington’s food scene. This is Wilmington’s “surfer” Mexican food place. After a long day of “gettin’ lippy” and “lost in the sauce“, you hit up islands to have tacos, brah. I make fun of Islands, because it is so ingrained in surfer culture here it’s ridiculous. Besides that, it’s a great place to eat! Think of it as almost like a cheaper, local Chipotle. Also, don’t worry about it being “too local” where people are assholes to tourist. I’ve met very few people in Wilmington that have beef with tourist and Islands isn’t that much of a secret. I’ve had sandwiches from all over the world, but Chop’s Deli makes the best. It’s very trendy to go sit at Chop’s Deli downtown and people watch. There are also location’s in other parts of the city, but downtown will give you a greater experience. Chop’s is not a more formal “delicatessen”, but a very informal sandwich shop. Although a bit informal, the food is outstanding. 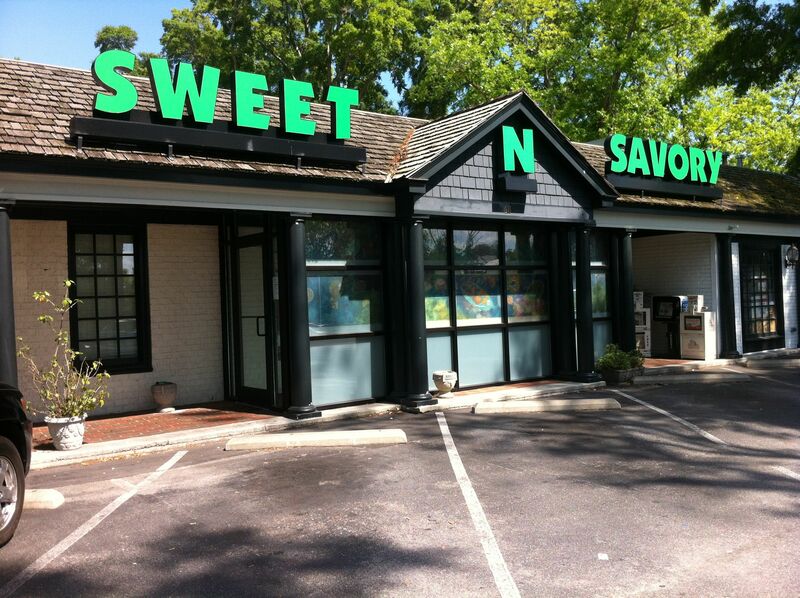 Sweet and Savory is a diner type restaurant that has amazing breakfast, lunch, and dinner. I feel bad for the chef that works there because the menu is absolutely MASSIVE and it’s all delicious! Although known is the go-to place for breakfast, it has great lunch also. Make sure to go at none peak times, because the parking lot is small and packed.